Two channels and the very cool pentode/ ultralinear switch, the simple, stylish, and sonically satisfying Sky King is the very picture of tonal versatility. And it's full of sounds from buttery smooth to filthy you could classify as do-it-all for practically any style of music. The Sky King is handwired, which is exciting for anyone who digs vintage. But the biggest news is the inclusion of a pentode/ultralinear switch, a non-vintage option that really expands the sonic palette of this 2-channel, 6L6-equipped 1x12 combo. The result is a simple and incredibly versatile 35-watt amp that's at home onstage or in the studio delivering everything from smooth jazz tones and R&B colors, all the way to the most saturated, raunchy rock sounds. You can select either the lead or rhythm channel using a control-panel switch or the footswitch. The back panel has controls for the built-in attenuator, pentode/ultralinear switch, and speaker impedance setting, as well as the power and standby. There are separate Ironman attenuators for each channel, which allow the player to dial in more preamp-tube saturation at lower volumes. 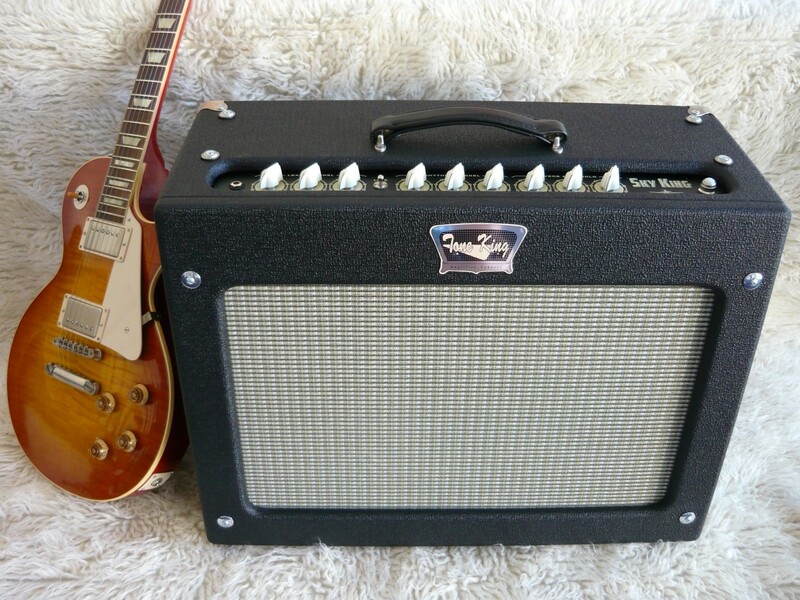 Fans of rich '60s reverb textures will love the tube-driven reverb, lush and sounds superb. The tube-driven tremolo sounds great too.